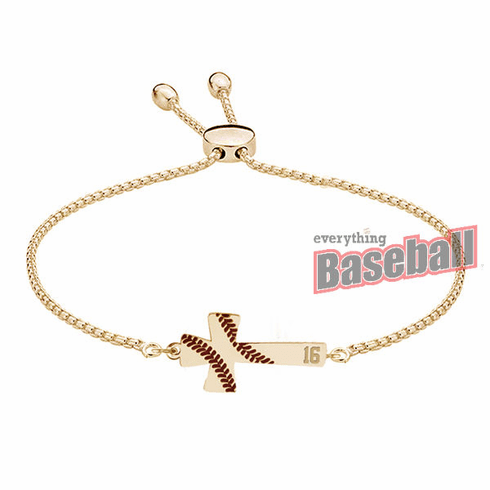 Adjustable bracelet includes baseball stitch enameled cross pendant with 1 or 2 digit number at the bottom of the cross! Flat charm design with dark red baseball stitches. This beautiful bracelet allows for an adjustable size - to fit all wrists! Cross measures appx. 3/4" x 1". We also offer a matching Baseball Cross Pendant!! !